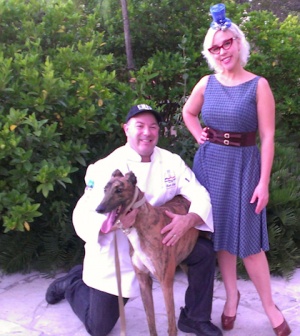 Next Food Network Star finalist “Retro Rad Diva” Emily Ellyn and “The Greyhound Chef” Keith R. Esbin teamed up for the second annual Greyt Plates to raise money for Greyhound Pets of America Greater Orlando Chapter. Taking place at the Holy Trinity Reception Center in Maitland, Florida, Over 300 guests were treated to 20 tasting stations each manned by a top chef from some of Orlando’s top Restaurants, Country Clubs, or Theme Parks. They also enjoyed live music provided by Mike Petrovich, and had the opportunity to bid on over 200 silent and live auction items. Guests enjoyed Red Wine Braised Beef with Roasted Garlic Potato Croquettes by Chef Nicholas Barrington of Arnold Palmer’s Bay Hill Lodge, Wild Mushroom Bruschetta on Bavarian Pretzel Crostini by Chef Ed Colleran of Universal Studios Florida, Roasted Butternut Squash with Sage Butter by Chef Gary Ullmann of Barnies Coffee Kitchens, and Emily Ellyn showcased the lost art of Canning with a number of tasty treats. Perhaps the most popular and unique item was Chef Esbin’s dry rubbed New York Strip Loin that was then mesquite smoked for hours and carved like a prime rib. The Strips were provided by Sysco Central Florida and their Corporate Chef Louis Reyes. Student Volunteers from Leesburg High School and Chefs from the American Culinary Federation Central Florida Chapter also provided support. There was something for everyone in the silent and live auctions! Platinum Sponsor Sea World Orlando provided 2 gift baskets that included not only theme park tickets for 4, but passes for Discovery Cove. There were all kinds of gift baskets that included items for pets, foodies, and wine lovers. Esbin who travels and meets many TV Celebrity chefs provided over 2 dozen autographed photos and cookbooks from Buddy Valastro, Tom Colicchio, Cat Cora, Richard Blais, Rick Bayless, and Robert Irvine. Fellow Greyt Plates team member and emcee for the evening was Inga Hammond formally a reporter for the Golf Channel and currently with Meister Sports Management used her contacts to receive autographed memorabilia by Arnold Palmer, Curt Schilling, and Randy Johnson. Hammond’s good friends from Silver Sponsor; Loudmouth Golf were also on hand and had mad many donations to the auction. The highlight of the live auction was a 5 course meal for eight people in their home by “The Greyhound Chef” himself. Bids came from all over the room but eventually came down to a bidding war between 2 people. $600 was the winning bid to a large round of applause. The losing bidder who had second thoughts then asked Hammond if he matched the winning bid, would Esbin do another dinner. When asked, without hesitation Esbin said “Yes!” and the room gave him and the bidder a standing ovation. Emily Ellyn would also offer an in home class on Canning which brought in another $400. In total, Greyt Plates would end up raising almost $20,000. Esbin who is the Corporate Executive Chef of Bar Harbor Seafood Corporation and Boston Lobster Feast Restaurants is a long-time adopter of retired racing greyhounds created the event as a way to give back and help a breed of dog that doesn’t have the same opportunities to find homes like other breeds. 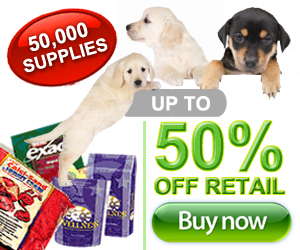 “Greyhound puppies are not found in any pet store, you can only get one directly from a breeder. Racers are already at least a year old and full sized when they come from the track, this is perhaps the biggest deterrent for their adoption”. The GPA/GO Adoption Kennel is the temporary home to almost 50 greyhounds all waiting for the opportunity to be adopted into forever homes. The costs of housing, feeding, and medical expenses for these dogs are all offset by almost 100% charitable contributions and fundraisers. The 3rd Annual Greyt Plates is scheduled for Tuesday, December 3rd 2013. For information on how to sponsor, donate, participate, or attend please contact Chef Keith at Keithe@bostonlobsterfeast.com or www.greyhoundpetsorlando.org.